Over 150 items to choose from! 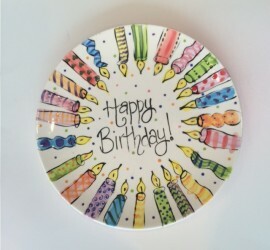 You'll struggle to choose from our fantastic range of pottery. Keep up to date with workshops and other weekly activities. Have a look at the parties we offer. 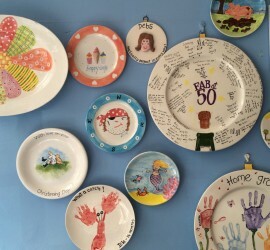 Manic Ceramics is a paint your own pottery studio in Hertford. We have been here for 15 years and LOVE getting creative. If you are yet to discover us then jump on in! It is best to make an appointment; book a table, come on in and have a paint. You can choose from over 150 different pieces, we will run you through the dos and don’ts then you go for it! Pottery has to be left with us to glaze and fire, our turn around is usually 3 to 4 days. Price wise, we have a one off studio fee of £4.00 then the price of the pottery on top, you can choose according to your budget, to give an idea, standard mugs and plates start from £11. 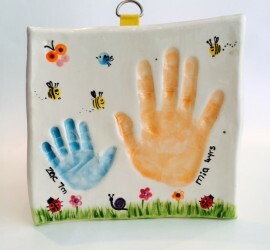 , 4″ tiles are £6.00 and planters start from £15.00. Please don’t hesitate to call if you have any queries or to make a booking. See the contact page for contact numbers.